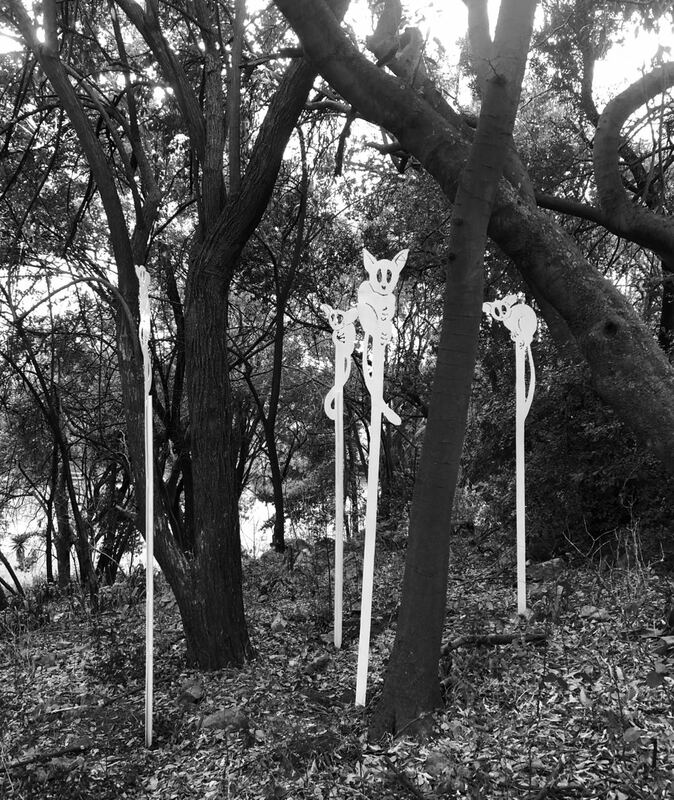 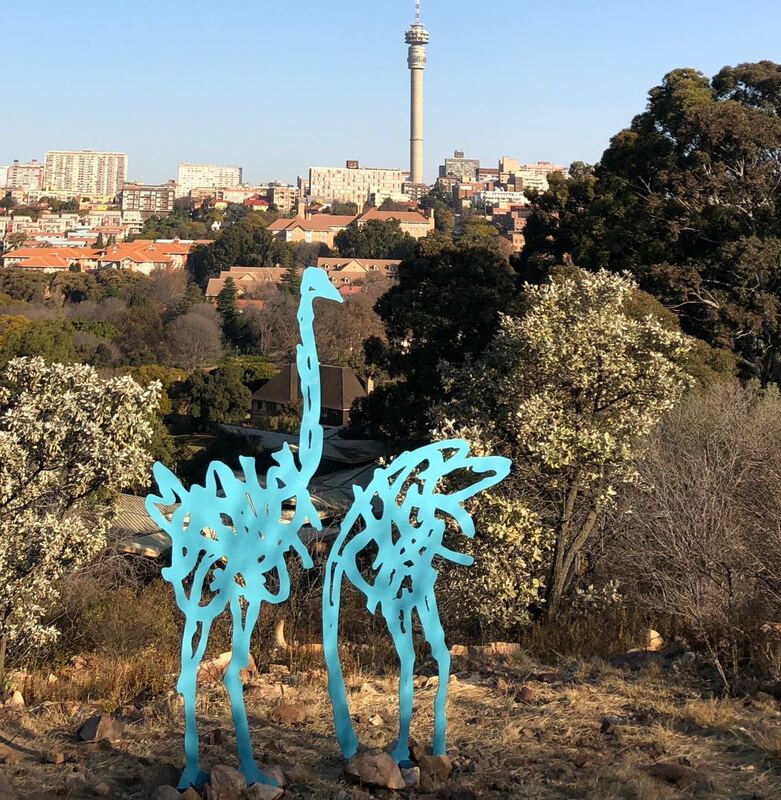 These outdoor sculptures were first developed for The Wilds, the Joburg park I’ve been rehabilitating the past few years. They are done in the same way as the owls, starting as charcoal sketches which are then laser cut from steel and painted or powder coated. 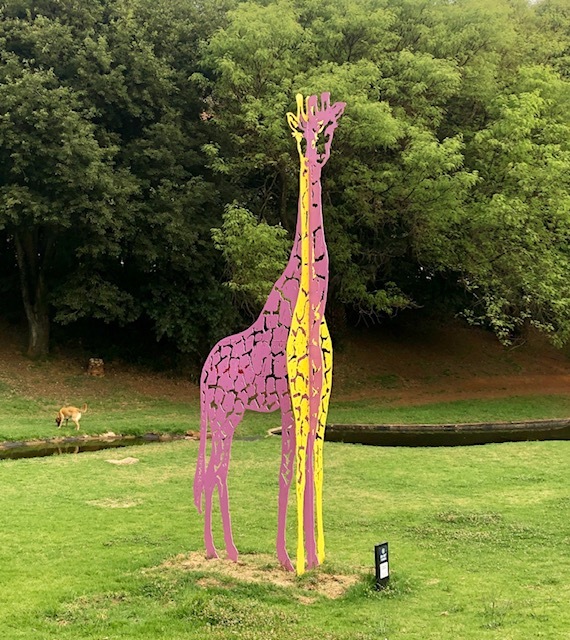 The newest one, the pink and yellow giraffe, is life size and visible from the main road running past the park – a deliberate intervention to draw people’s attention to this once- neglected space. 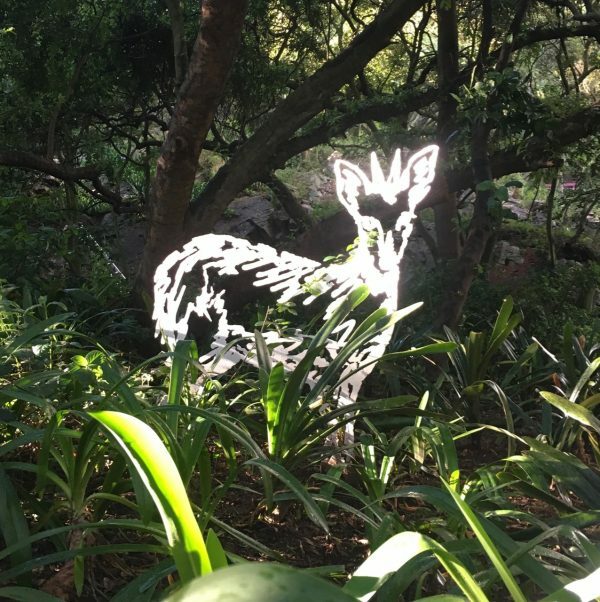 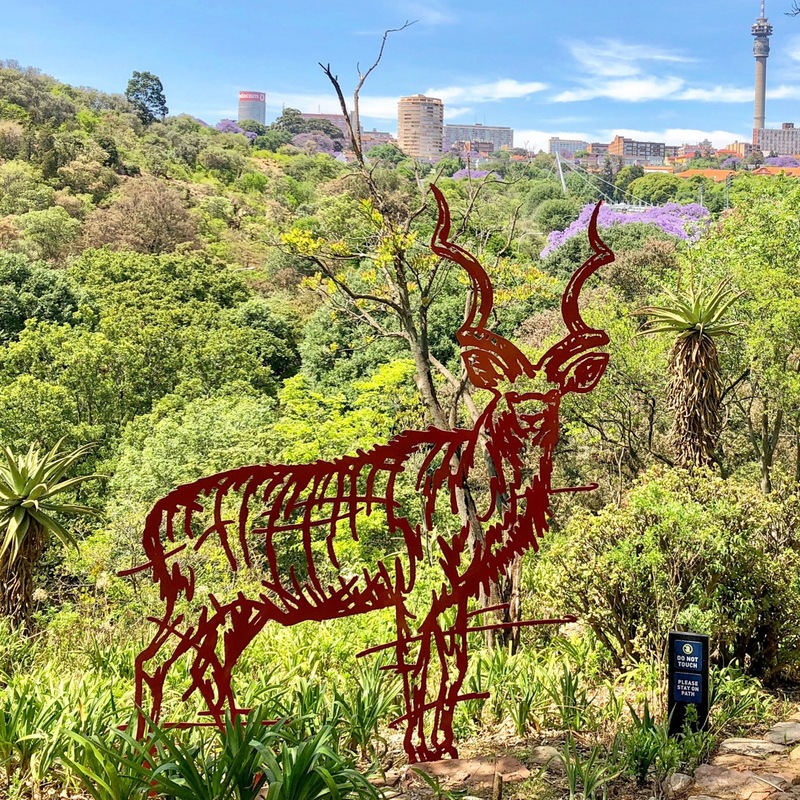 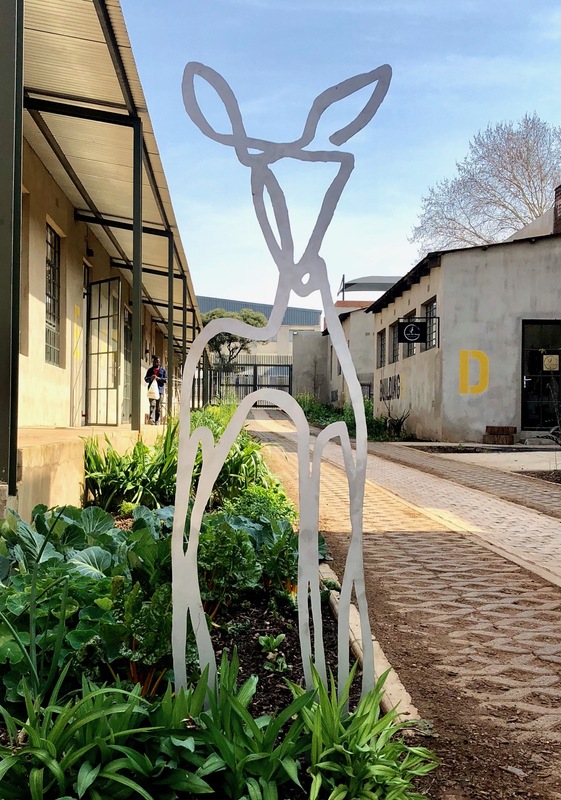 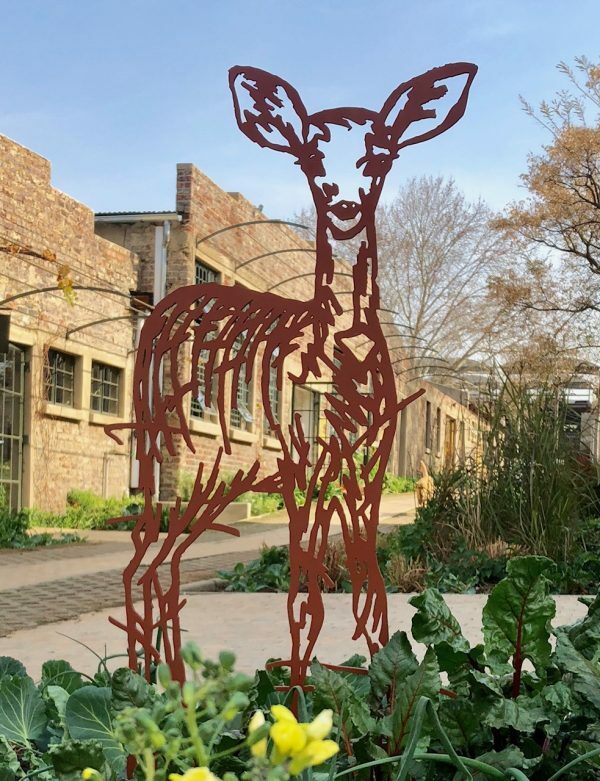 The sculpture installations in the park won an award from both BASA (Business Arts South Africa) in 2018.